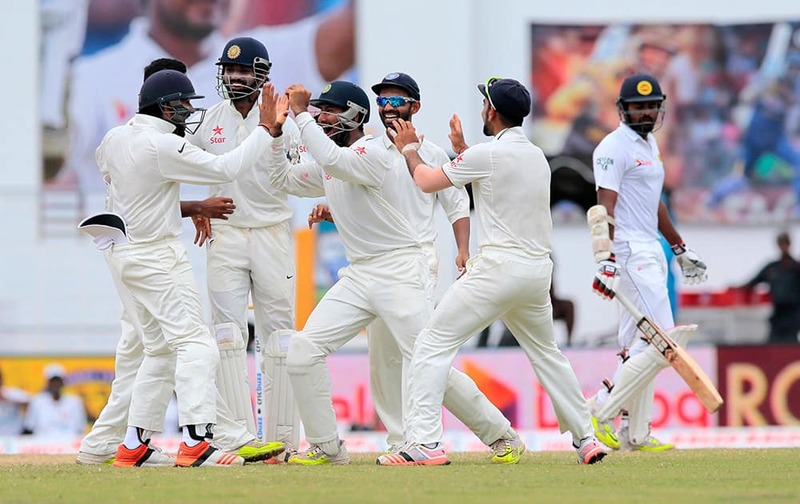 Members of the Indian cricket team celebrate the dismissal of Sri Lanka's Lahiru Thirimanne during the fifth day of the second test cricket match between Sri Lanka and India in Colombo, Sri Lanka. 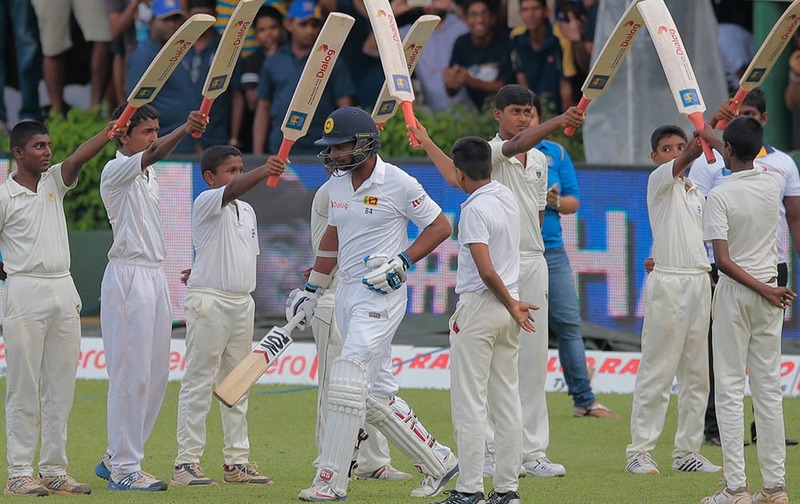 Indian cricket captain Virat Kohli, right, greets Sri Lankan cricketer Kumar Sangakkara after the second test cricket match between Sri Lanka and India in Colombo, Sri Lanka. 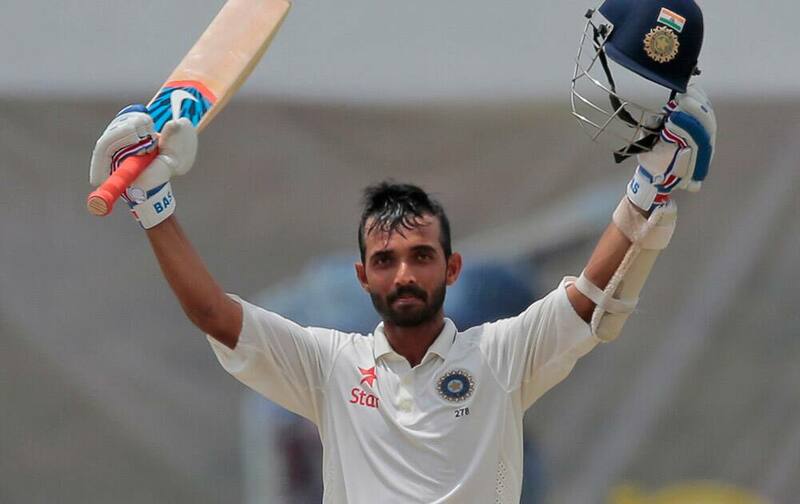 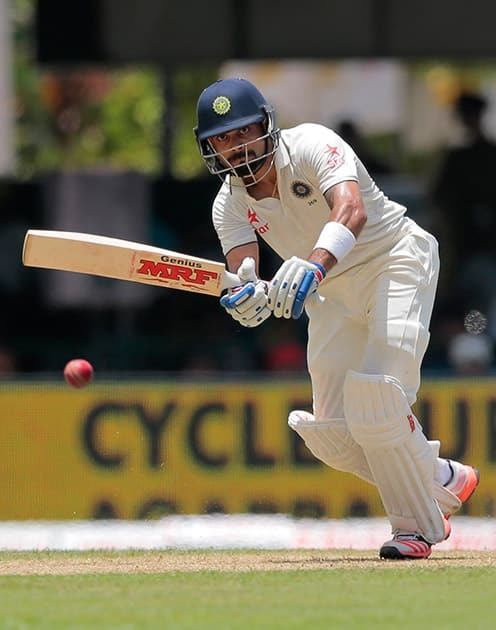 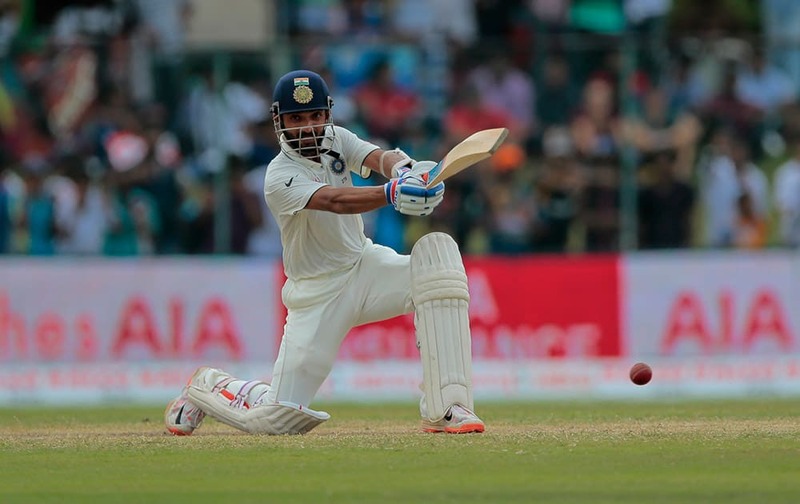 India's Ajinkya Rahane plays a shot during the fourth day's play of the second test cricket match between Sri Lanka and India in Colombo, Sri Lanka. 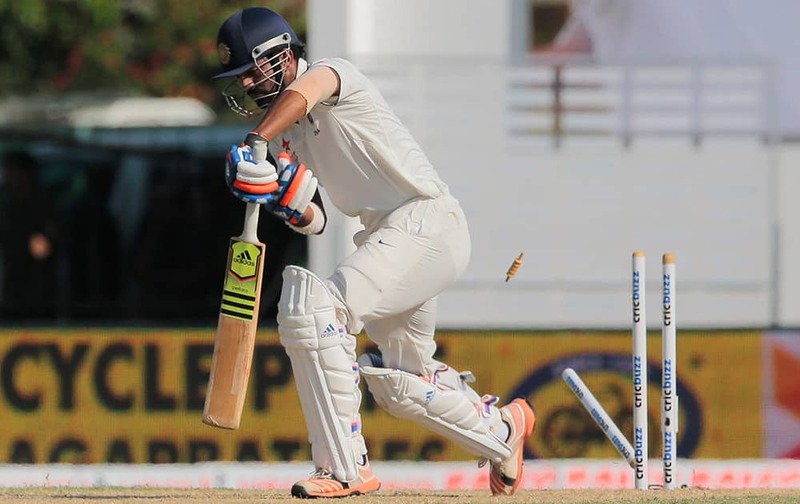 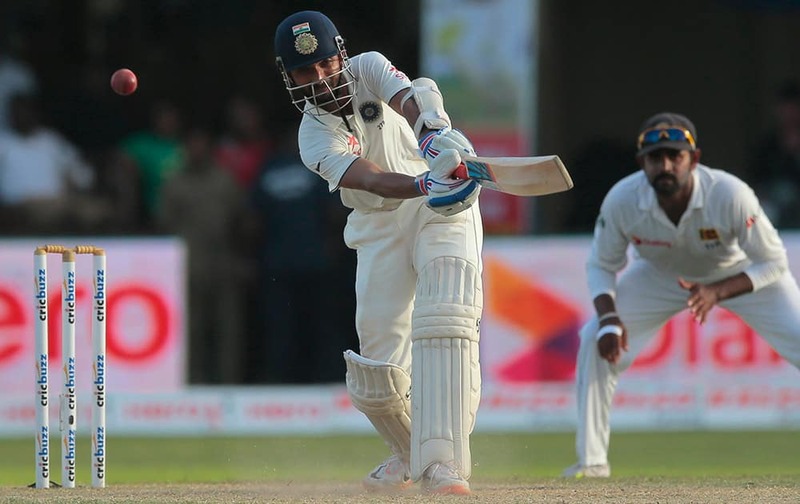 Ajinkya Rahane plays a shot as Lahiru Thirimanne watches during the third day's play of the second test cricket match between them in Colombo, Sri Lanka. 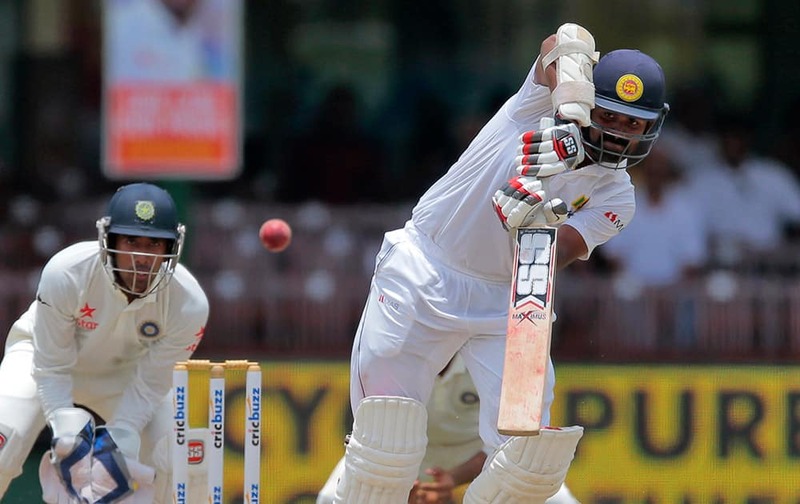 Lokesh Rahul bowls out off Sri Lanka's Dhammika Prasad, not pictured, during the third day's play of the second test cricket match between them in Colombo, Sri Lanka. 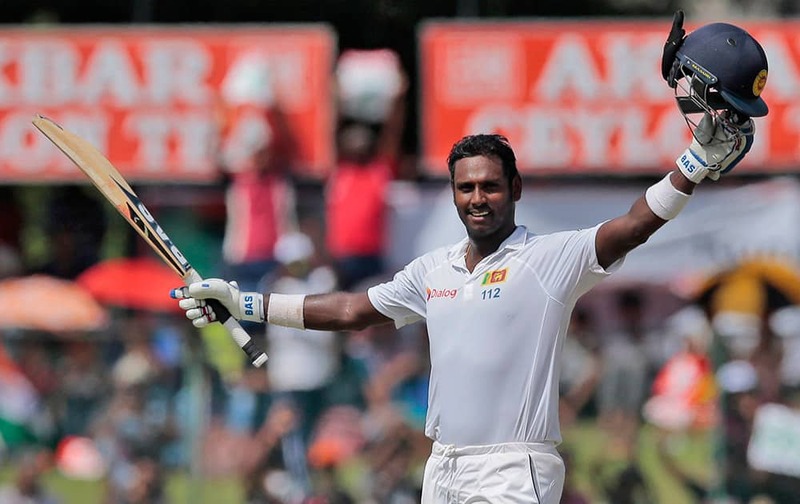 Sri Lanka's captain Angelo Mathews celebrates scoring a century during the third day's play of the second test cricket match against India in Colombo, Sri Lanka. 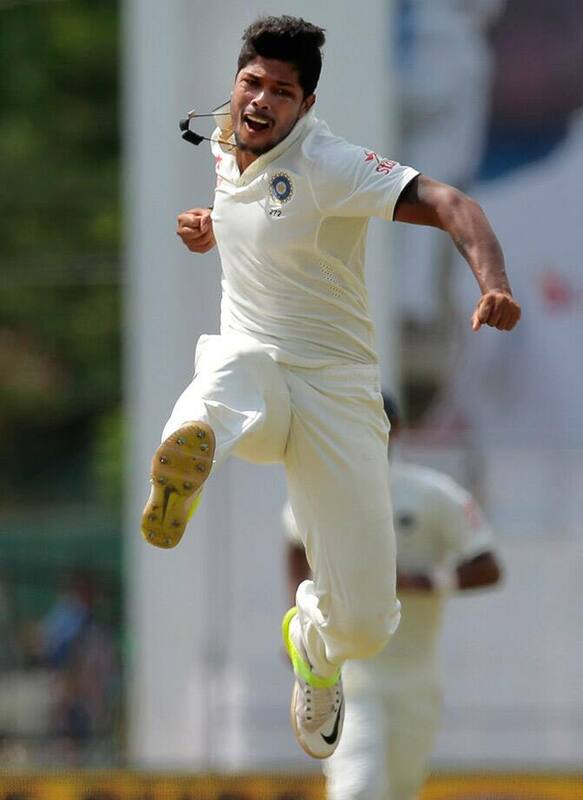 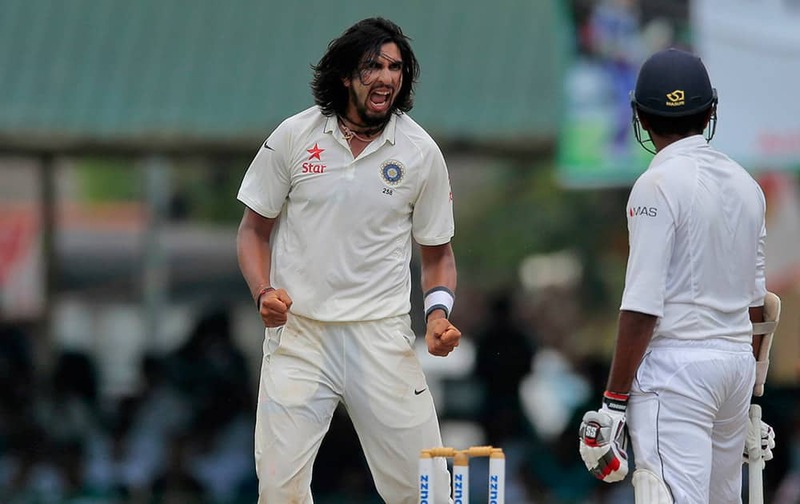 Ishant Sharma celebrates the dismissal of Sri Lanka's Lahiru Thirimanne during the third day's play of the second test cricket match between them in Colombo, Sri Lanka. 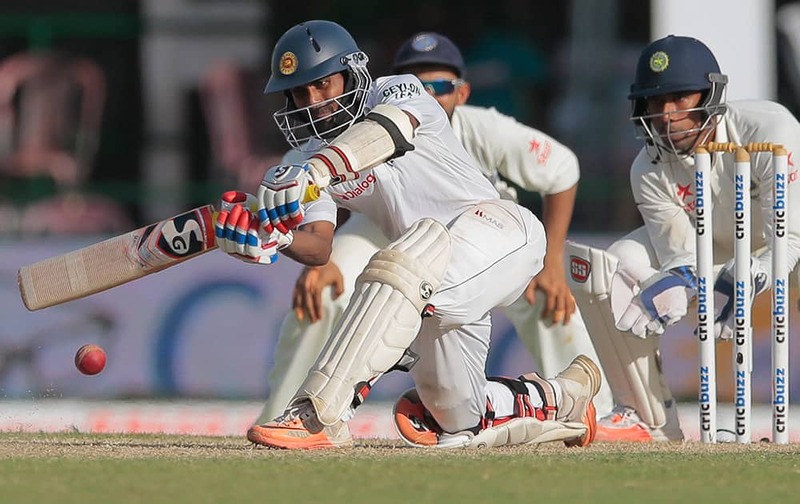 Sri Lanka's Lahiru Thirimanne plays a shot as India's wicketkeeper Wriddhiman Saha watches during the third day's play of the second test cricket match between them in Colombo, Sri Lanka. 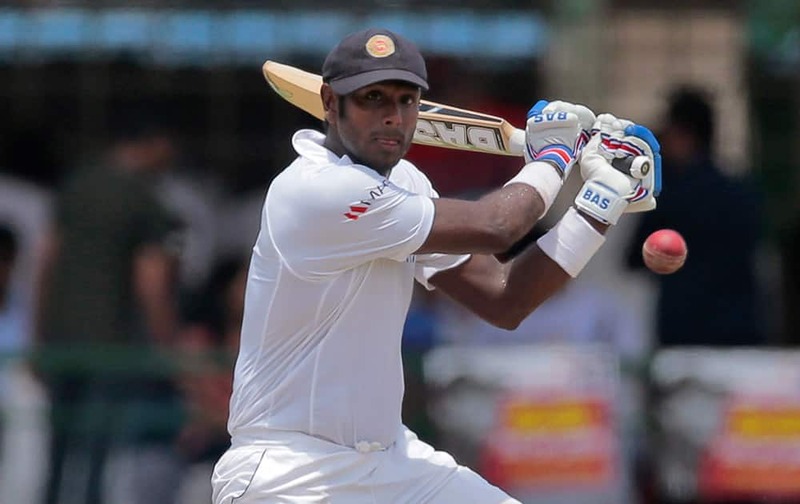 Sri Lanka's Angelo Mathews plays a shot during the third day's play of the second test cricket match against India in Colombo, Sri Lanka. 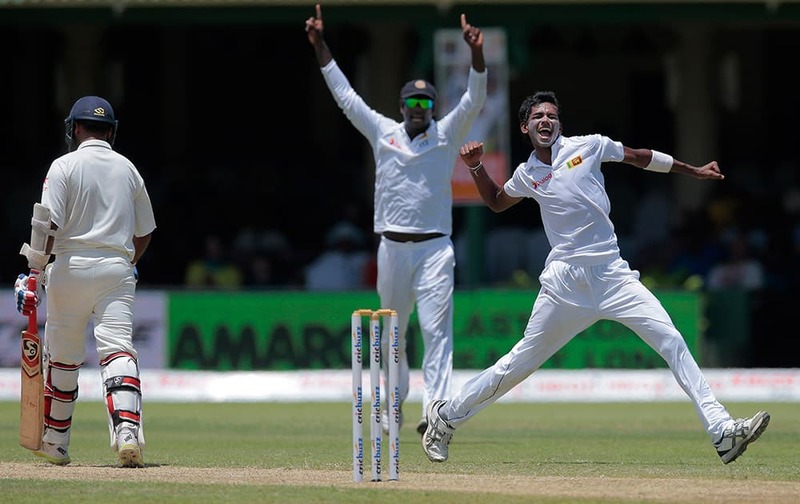 Sri Lanka's Dushmantha Chameera celebrates the dismissal of India's Amit Mishra during the second day's play play of their second test cricket match in Colombo, Sri Lanka. 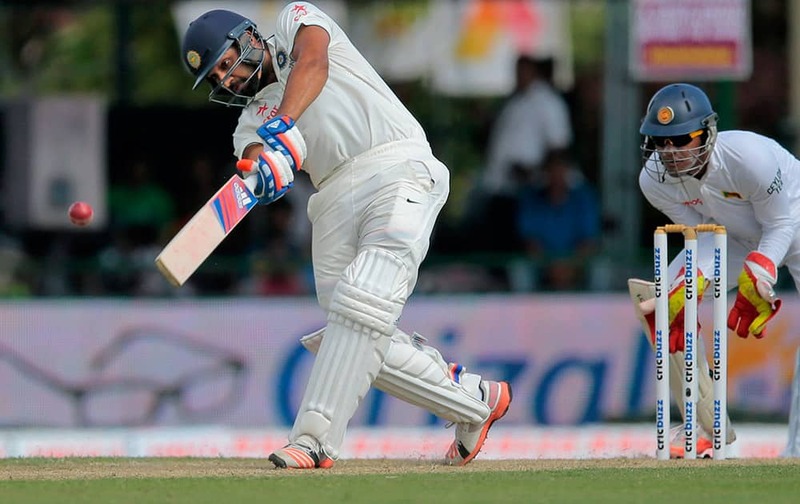 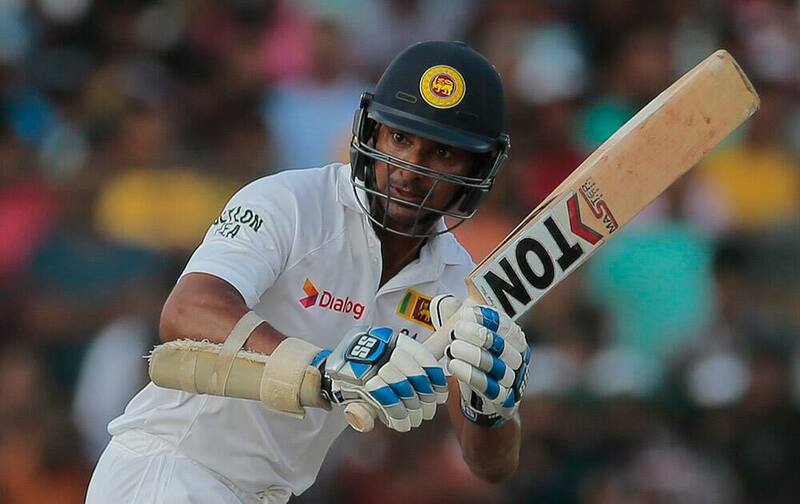 Rohit Sharma plays a shot as Sri Lanka's wicket keeper Dinesh Chandimal watches during the first day's play of their second test cricket match in Colombo, Sri Lanka. 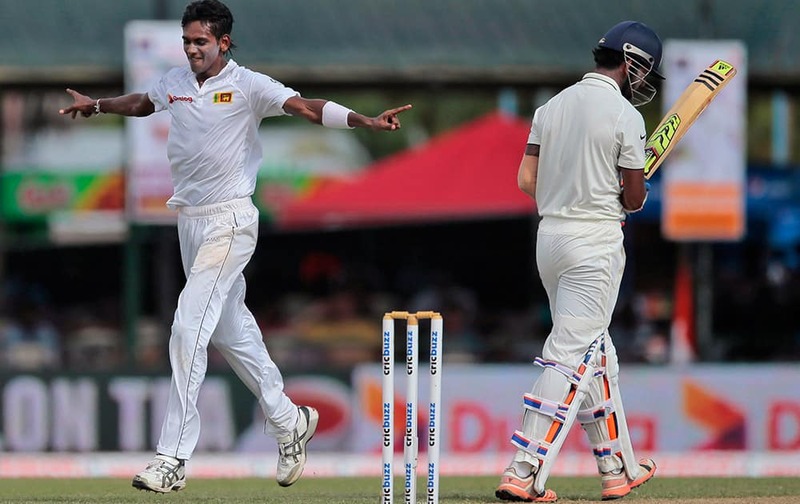 Sri Lanka's Dushmantha Chameera celebrates the dismissal of India's Lokesh Rahul during the first day's play of their second test cricket match in Colombo, Sri Lanka. 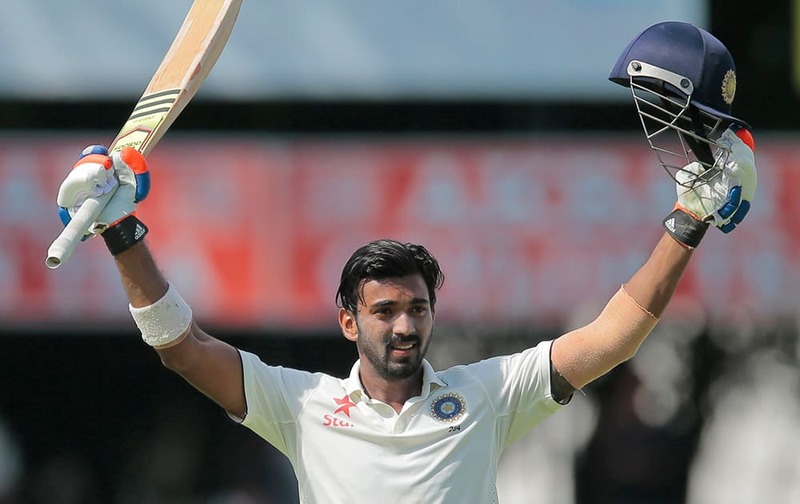 Lokesh Rahul celebrates scoring a century during the first day's play of the second test cricket match between Sri Lanka and India in Colombo, Sri Lanka. 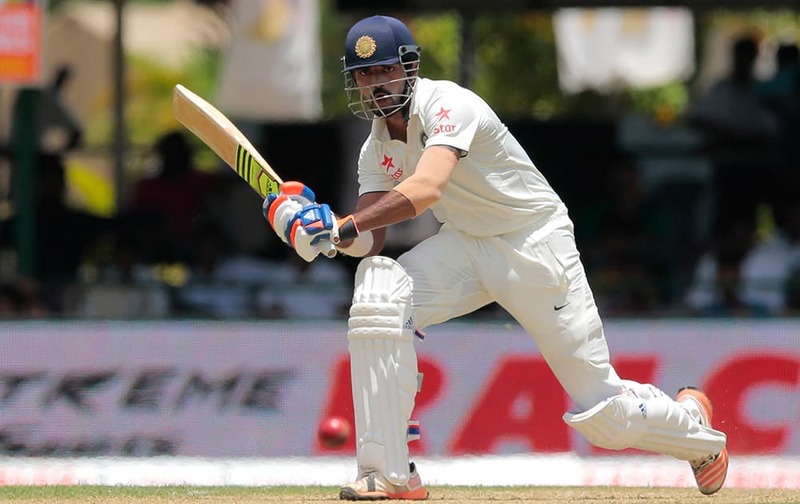 Lokesh Rahul plays a shot during the first day's play of the second test cricket match between Sri Lanka and India in Colombo, Sri Lanka. 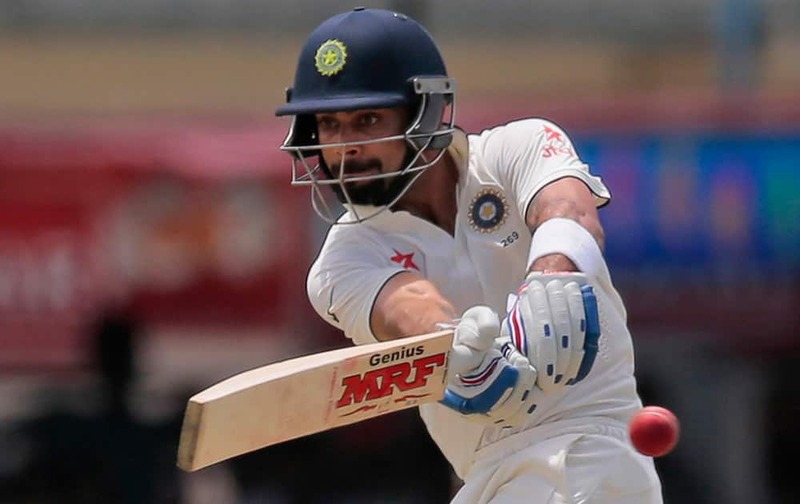 Virat Kohli plays a shot during the first day's play of the second test cricket match between Sri Lanka and India in Colombo, Sri Lanka. 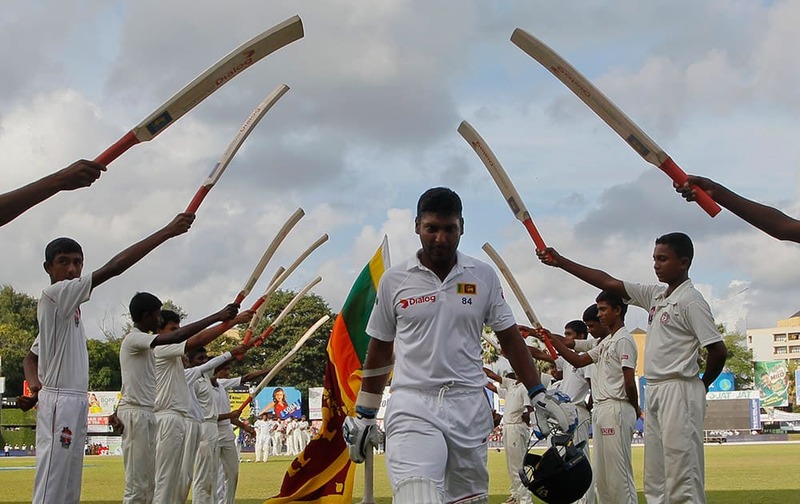 Kumar Sangakkara is greeted with an arch of bats as he enters the field for the last match of his test cricket career, the second test cricket match between Sri Lanka and India in Colombo, Sri Lanka.